Want to learn to ride a bike, or to get out on the road? 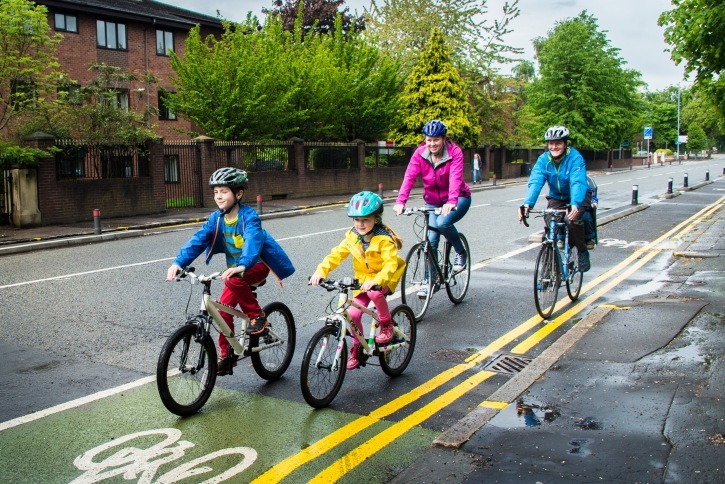 Want to find out how to ride safely around town, with your children or get tips on maintaining and repairing your bike? Do all this and more with our friendly cycling training sessions! 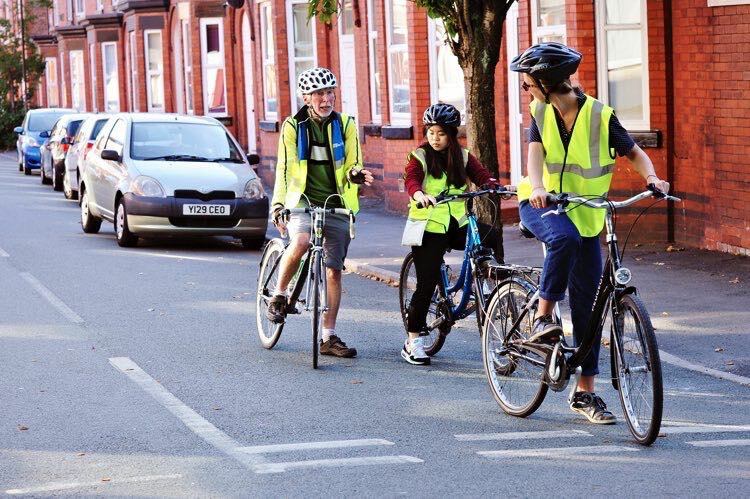 From complete beginners, to experienced cyclists, there's something here for everyone – even professional drivers who need to get more cycle-aware. 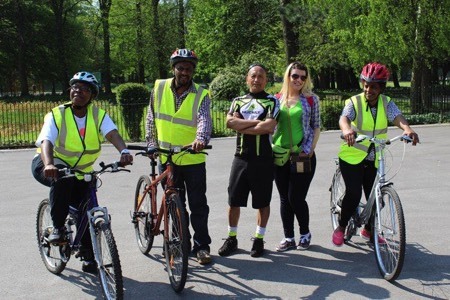 Our bespoke family training provides free guidance on how to safely cycle as a group on the road. This is for you if you're new to cycling, or haven't ridden for many years. Get the confidence to take the first step into cycling, at your own pace. You don't need your own bike. Try this if you can ride off the road but want to learn the skills of riding with traffic and other road users. You'll learn off the road with others of similar ability. 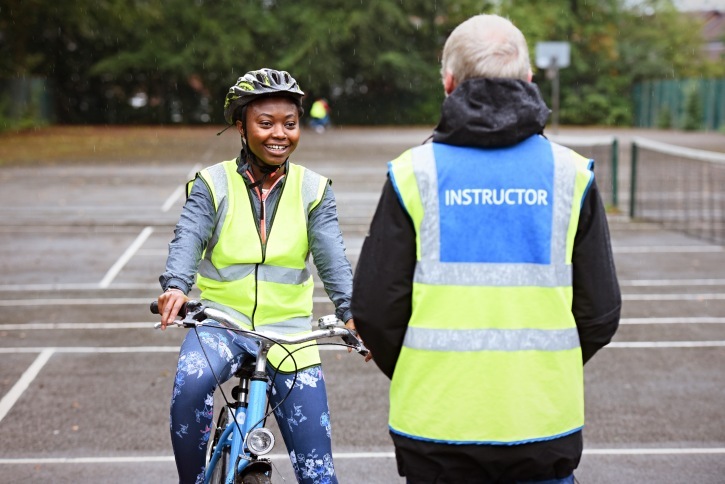 If you already cycle but need confidence to ride in traffic, get personal one-to-one coaching on the road to develop riding and communication skills. 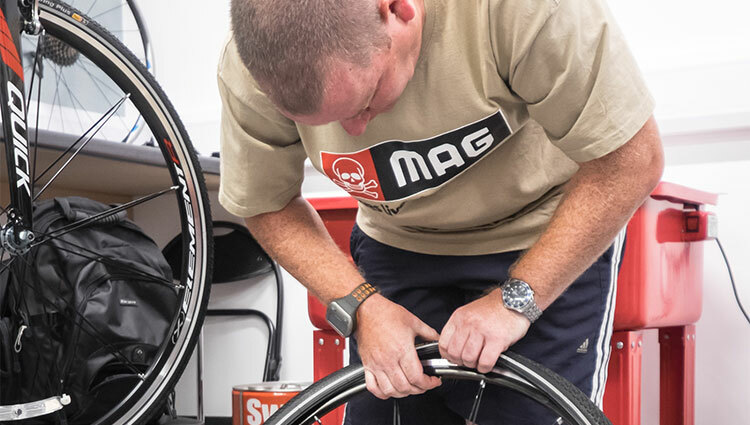 Learn to give your bike a safety check, adjust brakes and gears and mend a puncture. Course available for a £5 fee. 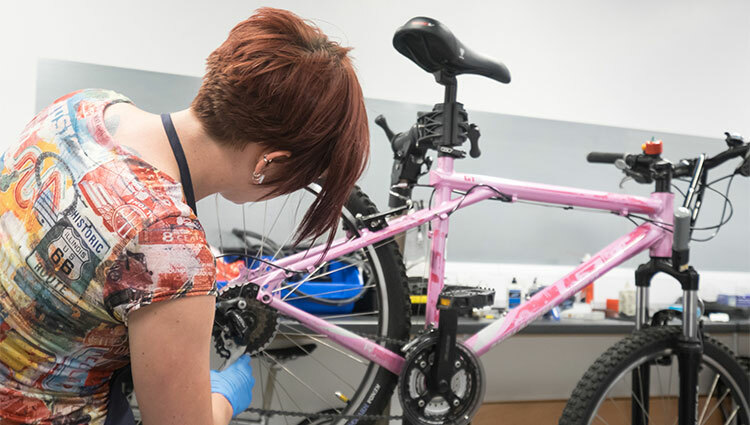 A full day session to build on your basic knowledge, looking in practical detail at brakes, gears, cables and chains, as well as routine servicing. Course available for a £25 fee. This is for professional drivers who want to be more aware of cyclists, by conventional training and by having a go on a bike on the road.